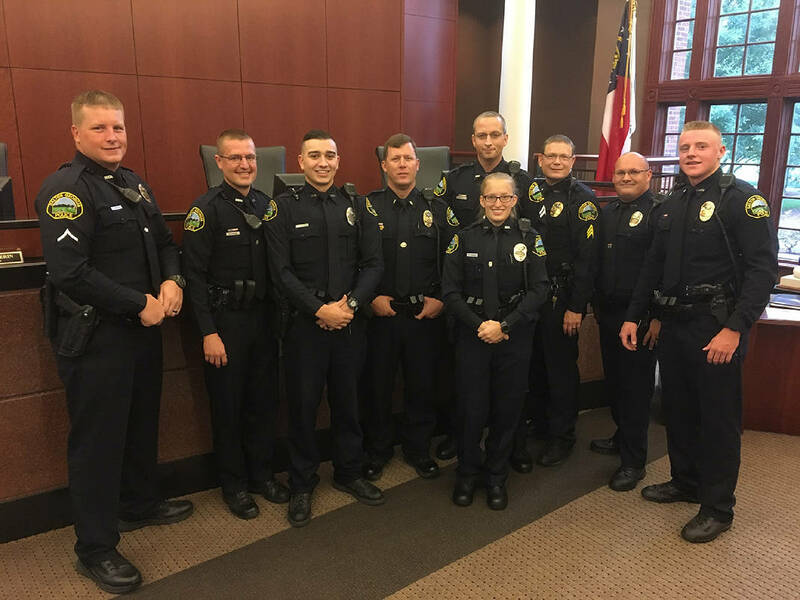 Ten Dalton Police Department officers who responded to the Feb. 28 shooting incident at Dalton High School received the agency's Award of Merit on Tuesday at the July meeting of the Dalton Public Safety Commission, according to a news release. Assistant Chief Chris Crossen said the award is given to those who "distinguish [themselves] by bringing extraordinary credit, honor, and/or recognition to the department, police spokesman Bruce Frazier said in the release. Among the criteria for the award, Crossen said, are "[defending] others from harm while sacrificing personal safety where immediate action was necessary and/or ... excellence under fire/stress during a critical incident." "The February 28th event at Dalton High School certainly qualifies as a stressful and critical incident," Frazier wrote. That morning, Dalton High teacher Randall Davidson barricaded himself inside his classroom and fired a single shot from a handgun that he had brought into the school. Within two minutes of the "shots fired" report, Dalton officers were inside the school and moving towards the threat. 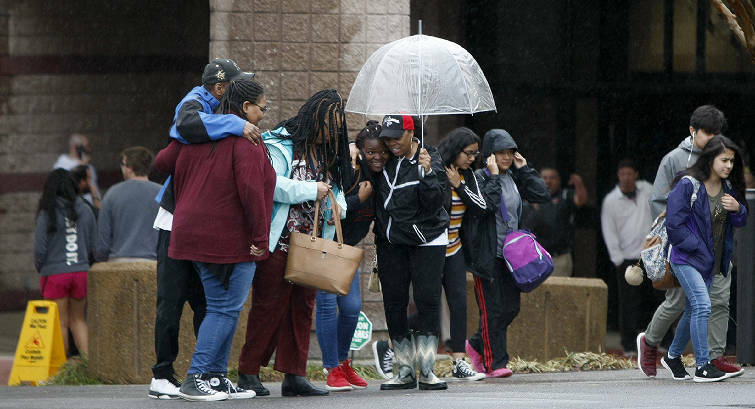 Crossen said the 10 honorees and other responding officers "made the conscious decision to find the threat and do whatever was necessary to protect the students and faculty of the school." Davidson eventually surrendered to authorities without incident and there were no serious injuries.